You are here: Home / Articles / SEO / Why choose the UNIVERGE SV8100?? Why choose the UNIVERGE SV8100?? The Small Office – Aggressively priced compared to other smaller systems, but with enormous scaleability as a business grows. The SMB – The SV8100 offers productivity and efficiency tools that are usually associated with more expensive, larger corporate systems. The Call Centre – Powerful call management software ensures customer service levels, and your workforce, are optimised at all times. The Branch Office – These can benefit from highly cost effective unique Netlink feature – allowing multiple systems to operate as one. Netlink also offers multiple business continuity options. 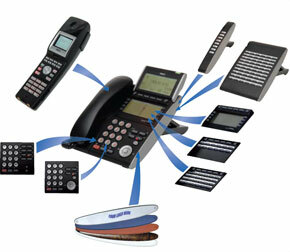 The Homeworker – The latest VoIP technology ensures costs are minimised, and access to system features are maximised. Call me to discuss how we can help take your business to the next level. http://isetservice.com/wp-content/uploads/2014/06/wpid-untitled-2.jpg 252 290 Jeremy Cissell http://isetservice.com/wp-content/uploads/2013/04/ISET_Logo.png Jeremy Cissell2014-04-15 08:30:062014-06-10 11:29:38Why choose the UNIVERGE SV8100? ?